Lost labor costs? Lost products and materials? Lost sales? 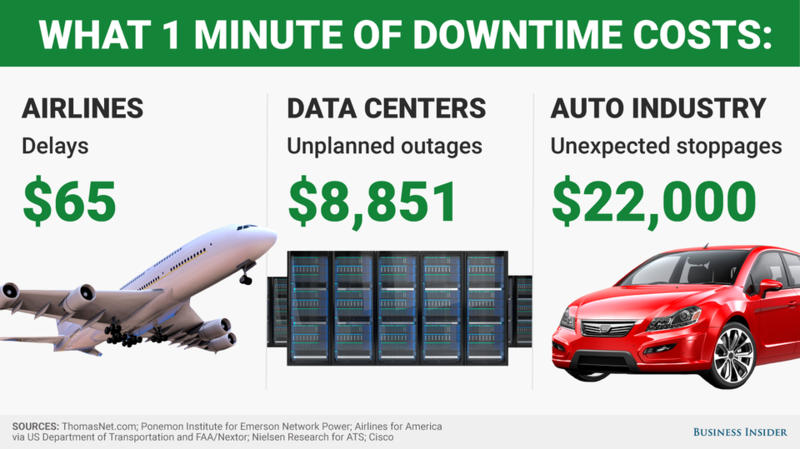 Unplanned downtime costs industries billions of dollars in lost revenue. Prevent losses to your business through regular service to your HVAC system. While investing in the correct HVAC system for your space is essential to controlling energy costs, maintaining product quality and keeping people comfortable, it’s only the first step. Maintaining your system in peak operating condition is key to avoiding unpleasant surprises and unplanned closures. Here at ICEMASTERS, we pride ourselves on being Calgary’s commercial HVAC specialists. With 30 years of experience, we can be relied on to provide some of the most professional and efficient HVAC services to Calgary and surrounding areas. You can feel confident that these tips come from true veterans in the HVAC industry. Read on for the top 5 commercial HVAC maintenance tips and how they help your business. You might think they you are saving money by only calling for service when the HVAC units have a problem. This strategy ends up costing 50% more money on HVAC repairs in the long run rather than having HVAC units serviced on a regular basis. A regular, scheduled quarterly service should include recommendations of the American Society of Heating and Air Conditioning Engineers (ASHRAE). As seasons change, lighting, heating, and cooling on/off times should shift, business patterns change and your service schedule should reflect this. Check thermostats for correct time, date and temperature settings for the season and business needs. Your building owner may have a specific schedule to follow. See our free checklist for more HVAC maintenance tips. Between 30% and 70% of the energy that commercial buildings consume is dedicated to HVAC systems. That means that businesses that have their HVAC systems working at optimum efficiency can make a significant dent in operating cost. An updated Building Management System (BMS) controller can cut operational costs by 15%. Systems in your building are remotely monitored for optimum function and exceptions trigger notifications for repair, maintenance or shut down. HVAC maintenance tips call for regular replacements of your filters, fan belts and gaskets. Ordering these items in bulk and storing them on site saves money and time. Why pay for waiting time during a service call? Many commercial building owners provide HVAC equipment and lease agreements require tenants to maintain HVAC systems. Without proper logging of each service, as well as each repair of the provided units, owners and managers can’t make informed decisions about replacing or repairing a unit. Even with the best and most up-to-date system, a piece of HVAC equipment will occasionally need repair. One important step in determining when to replace or repair units is to carefully examine the unit’s age, repair history, and maintenance history. Unplanned downtime due to HVAC failure and inefficiencies can cost your business in lost time, wasted product, wasted labor and worst of all, lost customers. By investing in a program of regular preventative maintenance you save money and protect your expensive equipment. Call us to schedule an appointment with an HVAC expert today!